Located in Downtown Summit along Robb Street. 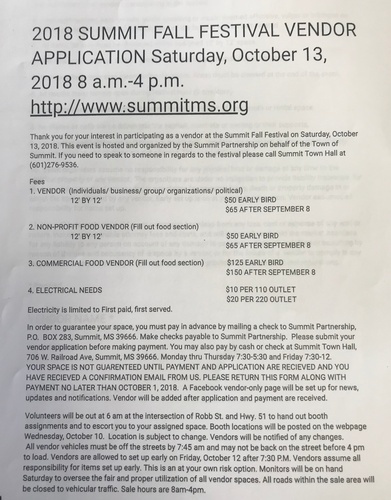 Vendor fees and information are attached. For more information call Summit Town Hall at (601) 276-9536.